I’m only completely, 100% moderately obsessed with the 70’s. If you peeked into our apartment on any given day, you’d find the sounds of Rumours or Goats Head Soup filling the air, 100 flowing, bell-sleeved frocks bursting out of our tiny, shared closet and 3 long-haired hippies walking around barefoot. This is also why I’m forever in love with Free People (and their oh-so-boho accessories.) 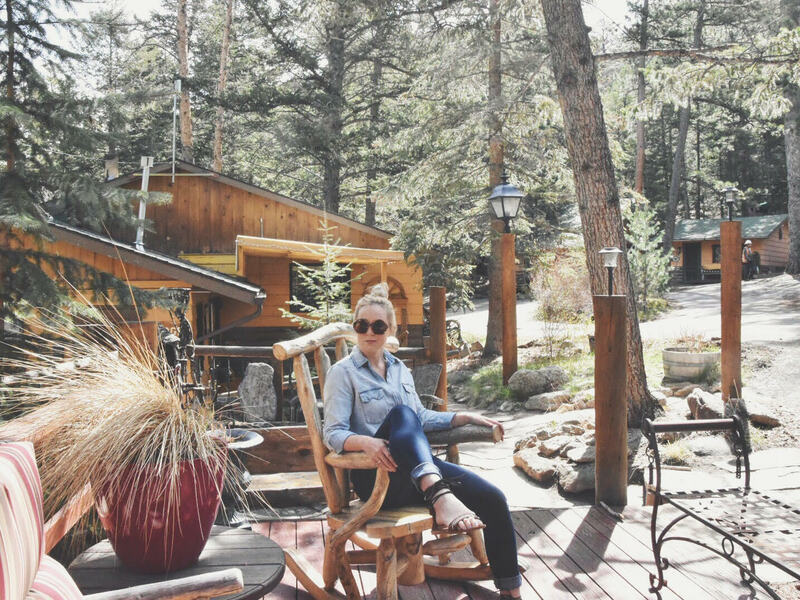 I took this look on a trip to the woods of Colorado recently, where the unpredictable mountain weather was a perfect match for a versatile, lightweight denim button down. 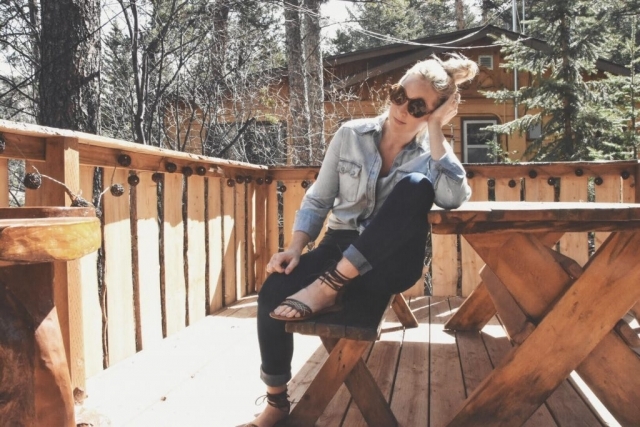 The sandals are currently on sale HERE and pair with everything from a sundress to cutoffs. With 5 weeks left of summer, now’s a good time to snag them. I’ve been wearing these sunglasses all summer long and at $20, I’m not living in constant fear of losing them at every stop. Plus they do an awesome job covering up the bags under my eyes that popped up as soon as Atlas turned 2. So…who else is ready for fall? ?